Hello friends! 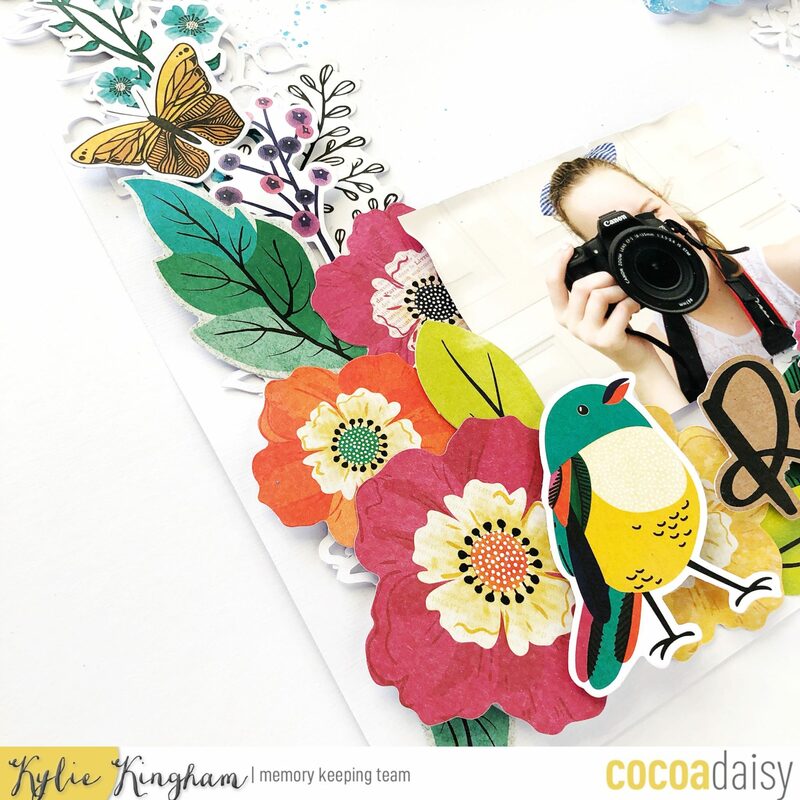 It’s Kylie back with you all today and I am so happy to be sharing a layout I have completed. 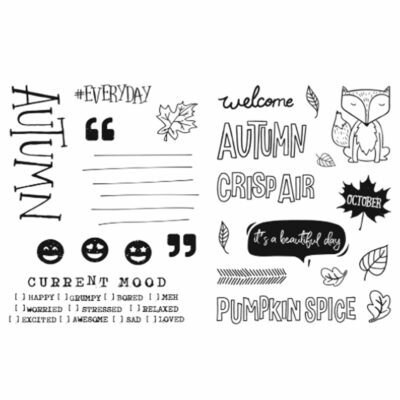 Even though it is Autumn here in Australia for me I know it is Spring for many of you and that is the inspiration for my post today! 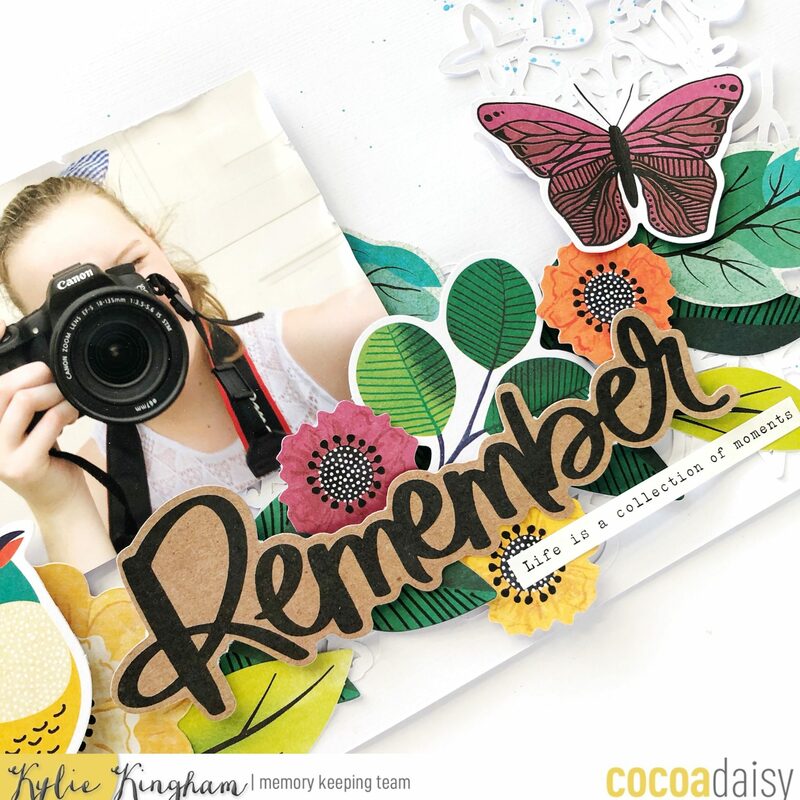 In the March Classified Memory Keeping kit, were the most divine Vicki Boutin die cuts.Full of lovely flowers and with bright colours. I couldn’t resist creating a 12 x 12 layout with them. 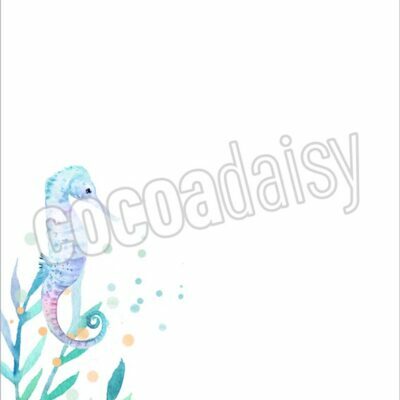 My daughter has just discovered the joy of photography so I thought this photo was perfect for my theme.I used white card stock for my background and I also cut a lovely floral border from my Silhouette. 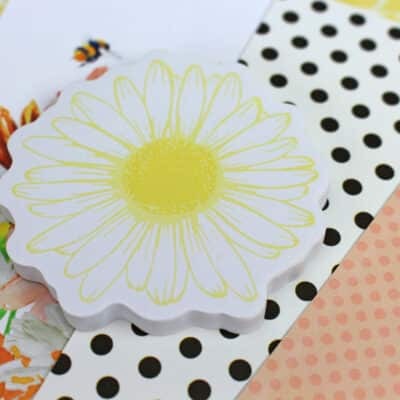 The cut file was designed by Paige Evans and I love the texture it adds to my background. 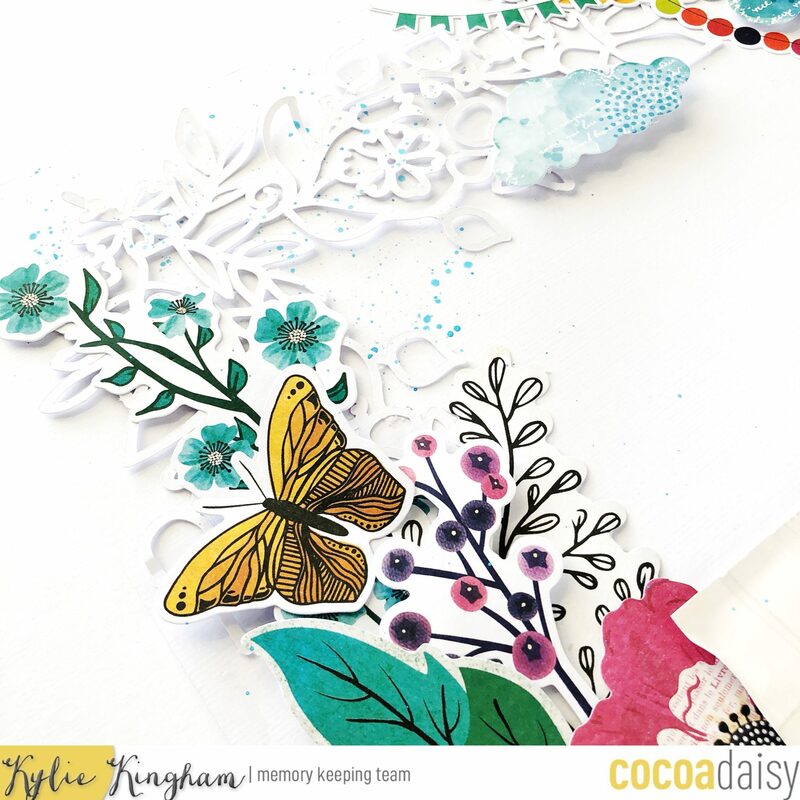 I layered lots of the beautiful die cuts….OK pretty much the whole packet because I LOVE them so much! 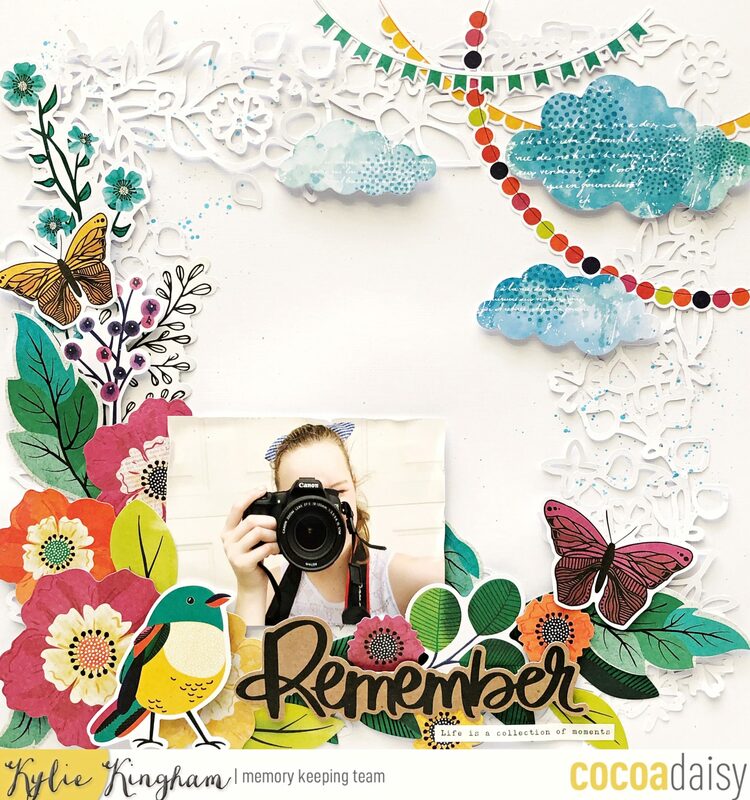 I wanted them to trail or cascade down the side of my layout, supporting my photo.I used some foam tape on some so they are sitting up from the background but also so it adds dimension to my page. 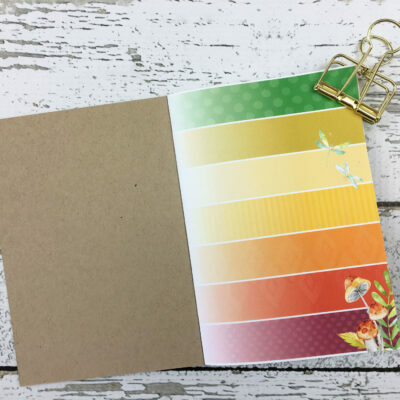 With the water colour paint set from the March planner kit, I added some delicate paint splatters to my background for an extra hint of colour. To finish my layout I added a title and a small sub title as well.